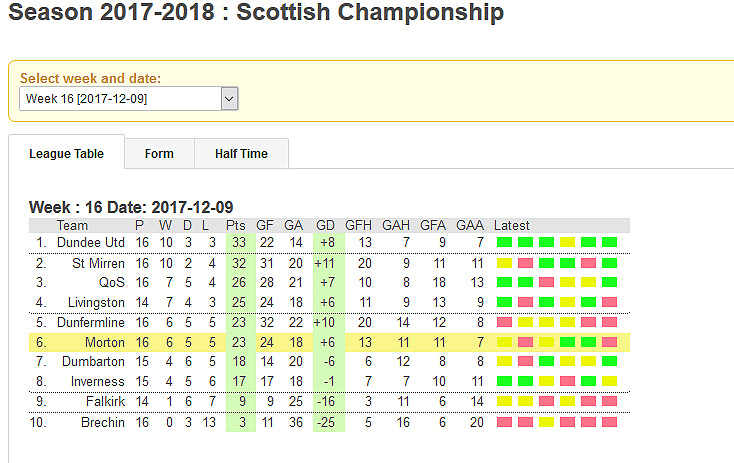 The creation of a football league table for teams in the Scottish Championship shows methods of manipulating data in a suitable format for managers and fans. Some tables are available elsewhere but this shows historical league tables on a week to week basis. 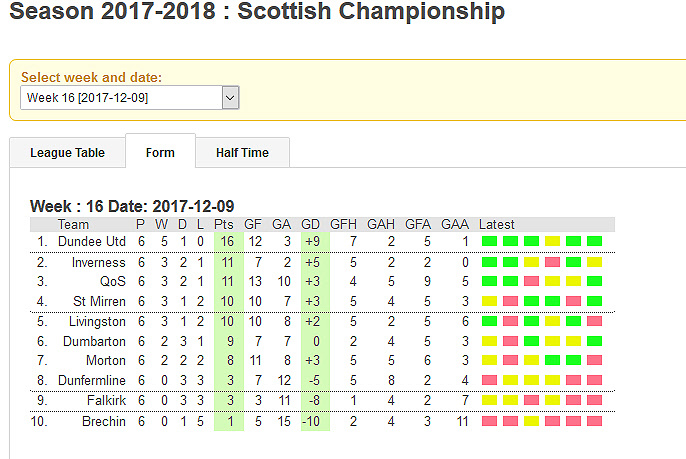 At the moment only season 2017-2018 for the Scottish Champiosnhip is showing, with a standard table on a week to week basis. 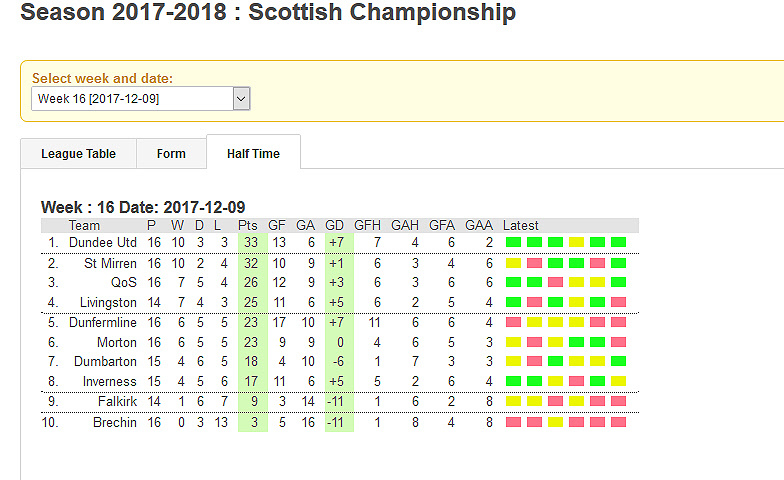 An on-form table showing the latest 6 games for each team in the league helps identify current progress of a team. 6 wins or 6 losses will clearly show the direction of the team. We are expecting to add further leagues and years. A table based on what the league would look like if taking only the half time scores. perhaps some teams do better in the first half ? The sample league table based on current form.